It rained a bit during the night, but the wind was blowing so much the tent was dry when we woke up. 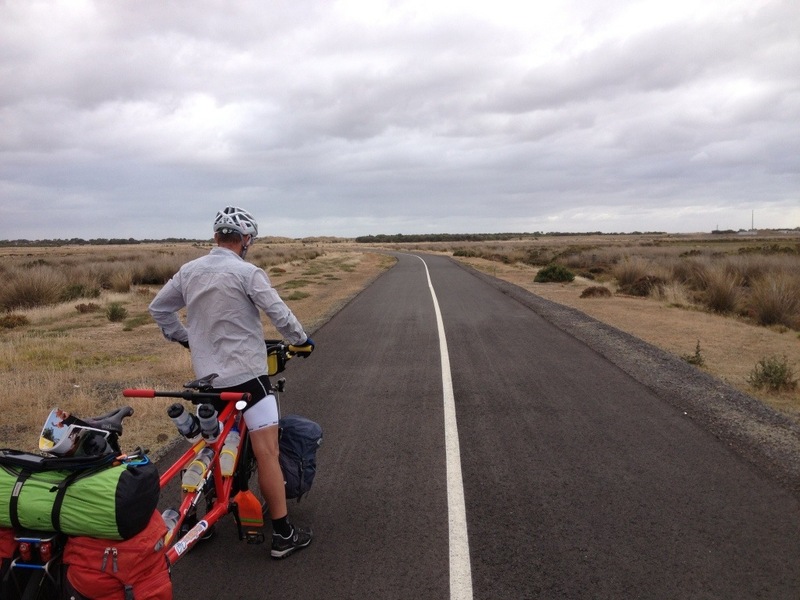 Breakfast was calling so we packed up quickly and headed out into a nice, strong crosswind. We had decided to head for Queenscliffe and catch the ferry over to Sorrento rather than ride the freeway from Geelong to Melbourne after talking to people who said it was much more pleasant to go up the east side of the bay. 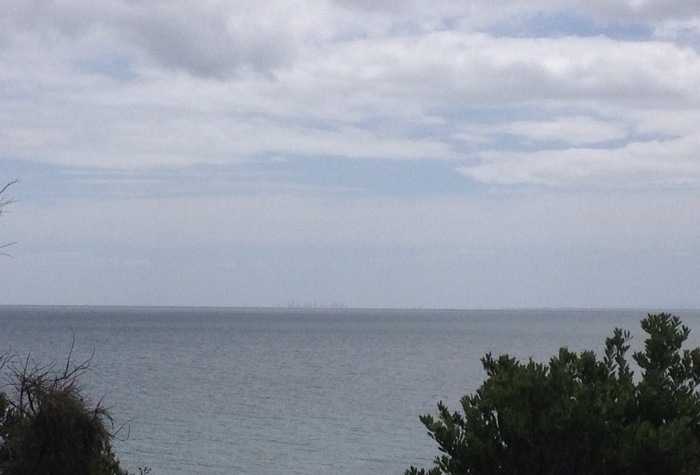 Right near Breamlea is a superb bike path that links Blackgate Rd and Thirteenth Beach Rd. 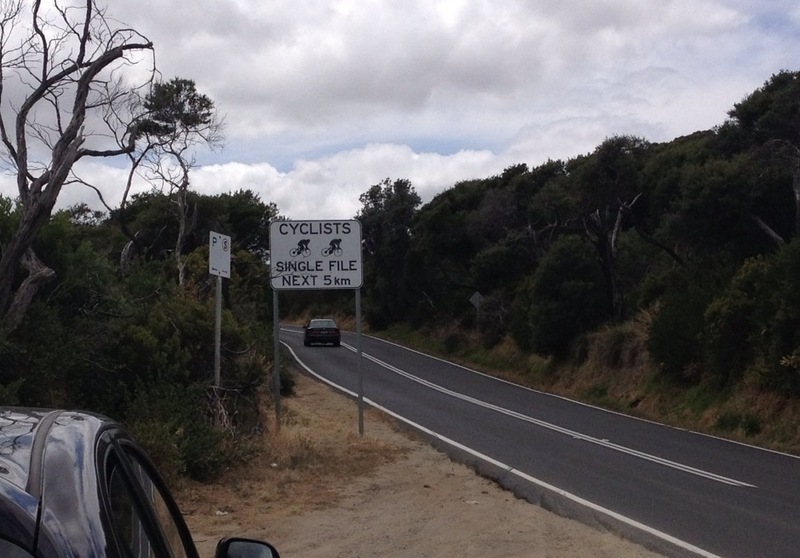 The number of cyclists out and about increased steadily as we continued along to Barwon Heads until it seemed the road was a cycling haven! 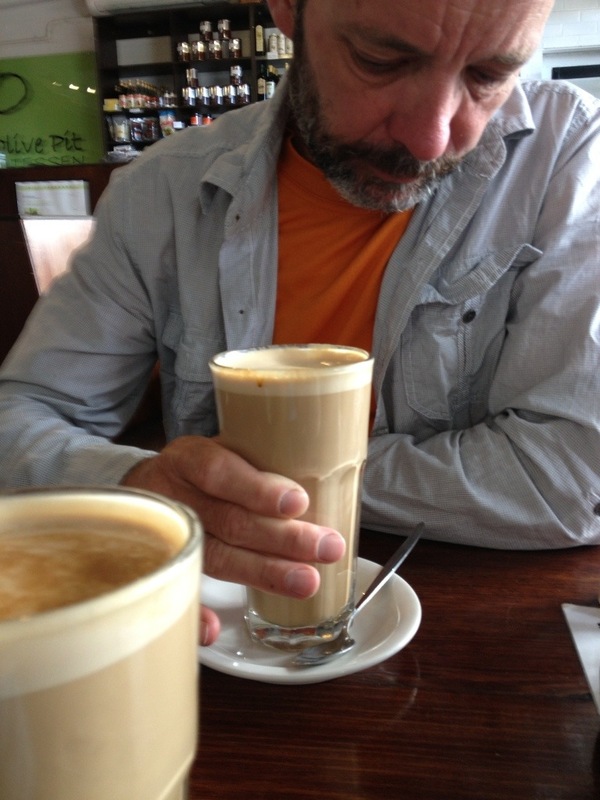 We ended up stopping for breakfast at Ocean Grove where the coffee was great…and big! Queenscliffe was only about 16kms from here and we made good time along the main road until we reached the ferry to Sorrento. 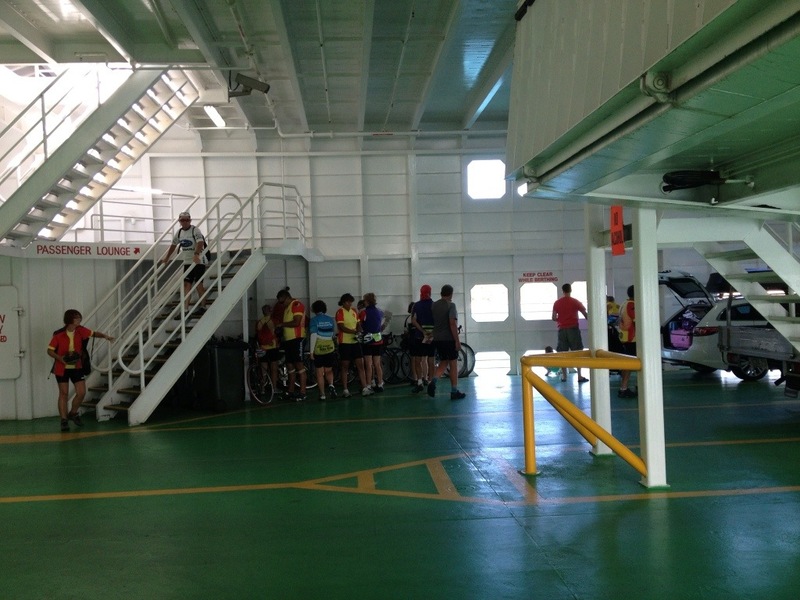 There was a whole bunch of cyclists crossing on the ferry, with their bikes all leaned up against the side in the ‘bike section’. Our heavy tandem would have squashed all those carbon fibre ‘solos’, so we allocated ourselves our own corner. The ferry trip was pleasant. It was great knowing we were going somewhere with our bike, without riding it! We didn’t really have a plan once we got off the ferry except to ride towards Melbourne, so we pedalled along happily in the bike lane along the coast, enjoying the occasional tailwind on the flat. The Stoker had seen a secondary road on the map which would help us avoid a bit of the highway, so we turned off the Nepean Highway and headed that way towards Mt Martha. Mt Martha’s uncomfortable roads did finally end (much to our relief) and we got a bike lane again on the side of the road all the way to Mornington where we stopped for the day. For the past couple of weeks we have been considering how to end our trip. It has taken longer than we thought, which is okay (the benefits and downfalls of having no jobs to go back to! ), but we do need to think about real life matters at some stage! The Spirit of Tasmania ferry prices are hideously expensive compared to flight prices too. We figure flying home might end up being the most practical financial and time solution, which will mean missing out on cycling down the east coast of Tasmania, possibly not a good idea at the moment anyway with the threat of bushfires. So, in honour of what will probably be our last official night on the bike, we are staying in a motel and going out for dinner. 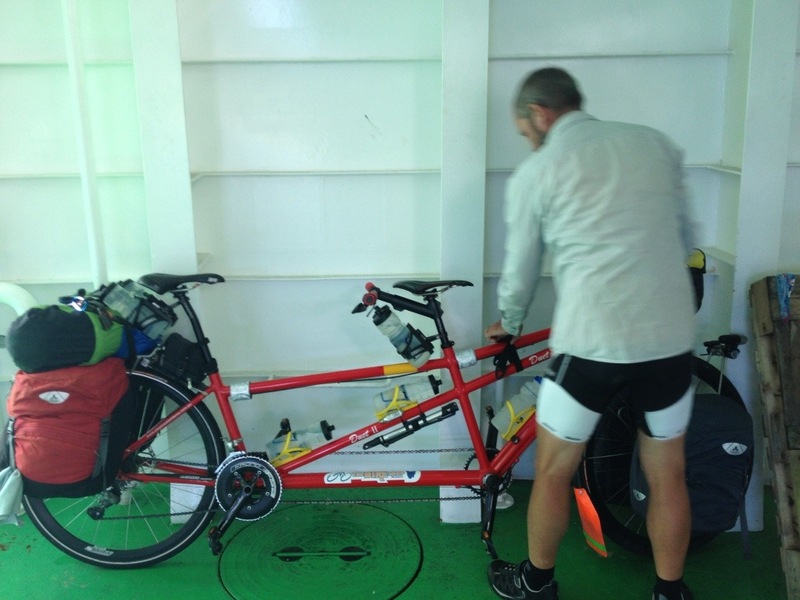 Tomorrow we ride into Melbourne and try and figure out the best way to get our tandem home! Thank you for your blog it’s been great you have done well ! Never followed anyone ‘live’ on a tour before. Really appreciate your effort in posting up pics and commentary – here in the UK the weather is cold and grim, and it’s been good to dream about what we will do in the summer. Norway perhaps? For sure some (by your standards) very short 3 day tours in the UK are planned. 3 day tours sound pretty appealing at this stage! It’s been good getting some comments along the way. We can’t imagine being where you are in the cold! We look forward to hearing about your trips (when it gets warmer). Book them in now!